This video shows a chemical resistant and high strength EP62-1 epoxy system from Master Bond. 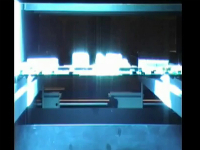 This video shows the self-healing coating for both metals and wood from NEI Corporation. Waterborne urethane coating is applied on to the metal and wood surfaces. 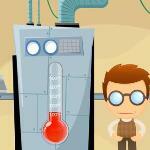 This animation video shows Max’s love affair with Master Bond Epoxies. 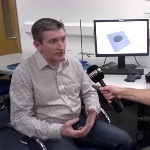 Prof. Iain D. Baikie from KP Technology shows us their Ultrahigh Vacuum Kelvin Probe. 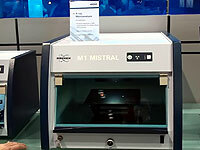 It is used for measuring changes in a sample's surface such as may be the case when a coating is employed, due to temperature changes and can be adpated for use with semiconductors. 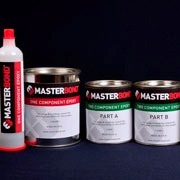 This video from Master Bond shows a presentation on how to obtain optimal bond strength with proper preparation of metal surface. 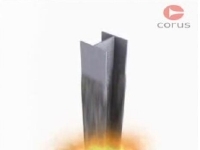 This video shows the heat resistant tendency of Master Bond flame retardant system. This video from Master Bond shows a low-viscosity, one component, UV curable epoxy-based system called UV15 for applications such as sealing, coating, and bonding. This video shows the benefits of high temperature resistant epoxies from Master Bond. This video shows self-healing of the coating on metals from NEI Corporation. Solvent-borne urethane coating is coated on a metal surface. 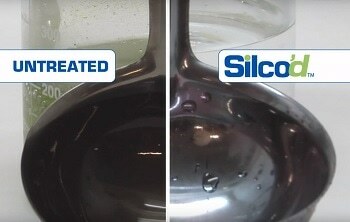 This video shows Dursan CVD coating technology from SilcoTek. Dursan is a coating designed to improve the inertness, hardness, and corrosion resistance of stainless steel, alloys, glass, and ceramics. 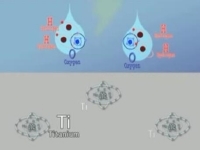 A video demonstration on nanocrystalline aluminium thin film under applied stress. 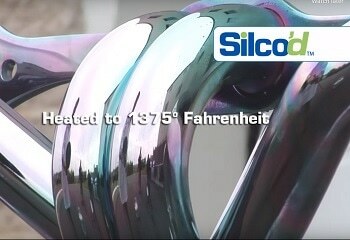 This video from SilcoTek demonstrates the heat resistance of silicon coating on stainless steel. Setup instructions for the Model 3442 low-profile extensometer. 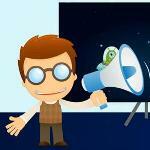 In this animation video Max Bond shows the backstage and behind the scenes of the Master Bond Video Library. The Nanoindenation platform is a versatile system available in two configuations that allow you to build a device tailored ot your specific requirements. You can incorporate various testing modules such as: Nano and microindentation; Nano and microscratc; and Micro/nanoscratch. 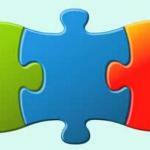 You can also choose between imaging systems suc as a: Video microscope; AFM; or profilometer. 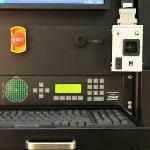 The REVETEST Xpress is a cost effective solution for Industrial and Quality Control (QC) applications. This instrument provides measurement of adhesion, hardness and scratch resistance with a very user-friendly, intelligible interface. 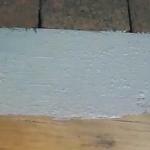 This video features non-halogen filler, Master Bond epoxy EP21FRNS-2 passes the UL 94V-0 test. 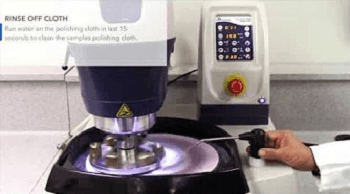 This is a flame retardancy test used in encapsulation, casting and plotting applications. 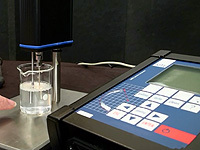 The CSM TTX Table Top Instrument is a high performance Nanoindentation Tester (NHT) in a small and simple-to-use package. It is suited to customary nanoindentation testing where a complete platform configuration is not required. This video from Master Bond illustrates how to apply fast curing EP65HT-1 epoxy. This short video runs you through the range of handheld coating thickness measurement instruments from Fischer Instrumentation. These instruments use different technologies and the various useful features of these devices are demonstrated, as well their ease of operation. 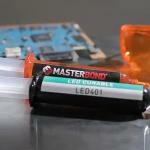 This video demonstrates the curing of adhesives by using LED from Master Bond. 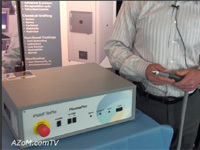 This video shows the ultrasonic spray systems from Sono-Tek. 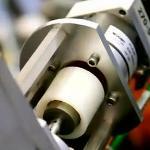 This system reduces the manufacturing equipment costs. 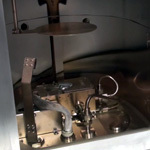 This video shows the Tri-axis research sputtering system from Semicore. Sandia scientists and engineers have developed a radically new self-assembling process for fabricating tailored thin films. This new technology is set to change the way that optical and electrical thin films are produced and its applications as this method can be modified and optimized at any stage of the process with many manufacturing benefits compared with conventional production. 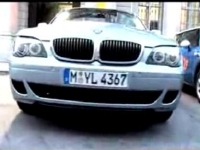 Watch and find out how. This video shows a gun applicator from Master Bond. 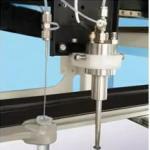 The gun applicator is used for easy mixing, measuring and dispersing of Master Bond epoxy systems. 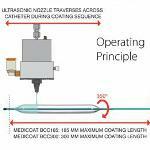 This video shows the coating system of balloon catheter form Sono-Tek. The Japanese are developing dye-sensitized solar cells (DSC) which does not require any silicon making it cost effective and can be mass produced to meet future market demand as solar cell usage increase. 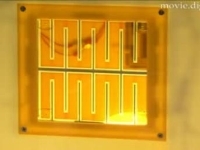 The current development method has overcome previous production challenges and meet up to the JIS standard and the results are comparable to conventional silicon based solar cells. 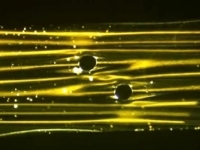 This video shows self-healing of waterborne coating on wood surface from NEI Corporation. 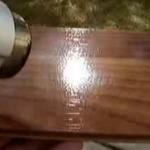 The waterborne urethane coating on the wood surface is scratched. This video shows EP42HT-2FG food grade epoxy system from Master Bond. EP42HT-2FG is a room temperature setting, two-component heat resistant epoxy system for bonding metals, rubbers, plastics, and other substrates. 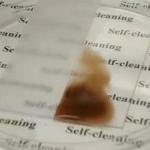 This video shows the self-cleaning coating from NEI Corporation. The self-cleaning coated glass on the left repels muddy water while uncoated glass on the right attracts muddy water. 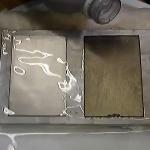 This video shows the Ultrasonic wet process systems from Sono-Tek for coating thin film on silicon solar cells. 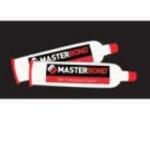 This video shows custom formulated adhesives, sealants and coating compounds from Master Bond. This video clip introduces the Fischer Instrumentation familty of handheld coating thickness measurement instruments. 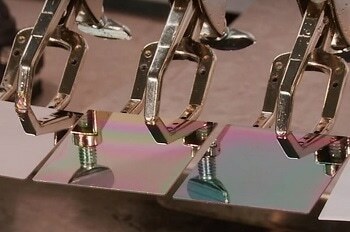 These instruments use techniques such as magnetic induction and eddy currents to determine coating thickness. 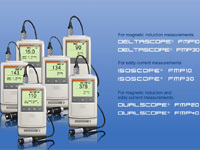 The range of instruments includes the deltascope, isoscope and dualscope instruments. 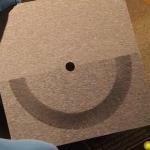 This video shows the demonstration of Superhydrophobic coating from NEI Corporation. 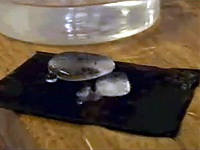 The SuperCN (Superhydrophobic) is used for promoting dropwise condensation on condenser tubes. Alan Bresnehan from Dotmar Engineered Plastic Products shows us their range of PTFE coated heatbelts and fabrics. PTFE is used as a coating materials due to its non-stick, low friction and heat resistant properties. Phil Harrip from Scientific Solutions demonstrates the SITA Dynamic Surface Tensiometer used for measuring surface tension. He shows us how the instrument works, key components and describes commercial applications that the SITA Dynamic Surface Tensiometer is suited to such as detergent and surfactant manufacturers, coating manufacturers and inkjet manufacturers. 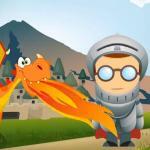 This animated video shows the advantages and application of FLM36 film from Master Bond. It is a B-staged film for bonding and sealing applications that offers exceptionally easy processing. The Nexdep electron beam evaporation system from Angstrom Engineering has been designed for research and development applications. 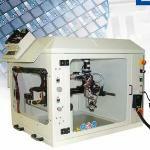 It can operate in either electron beam evaporation, resistive evaporation or sputter deposition modes. University at Buffalo chemists are using graphene, to develop new coatings for rust-proofing steel. 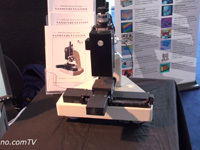 This video shows the Photoresist ExactaCoat system from Sono-Tek. This coating is the best solution for Photoresist coating onto MEMS wafers and other 3D microstructures. 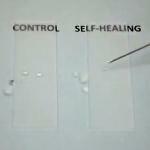 This video shows self-healing, superhydrophobic coating from NEI Corporation. Water droplets are poured on to the surface of superhydrophobic coating; the coated surface repels the water droplets. 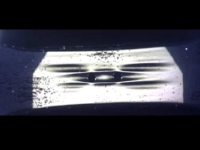 A short demonstration of a Bentley with nano-coated car window showing its ability to protect against different types of solutions and testings. This video shows Master Bond's epoxy systems that feature physical strength properties for industrial applications such as coating, bonding, encapsulation, sealing, and potting. Changing the filament on a Hiden Analytical residual gas analyser. 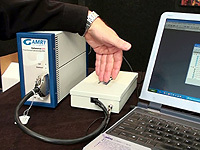 Residual Gas Analysers for vacuum diagnostics, leak detection and process monitoring. Have you ever heard the term "hydrophobic" and wondered what it meant. 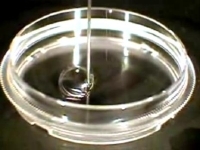 This video explains what super hydrophobic surfaces are and how they work. 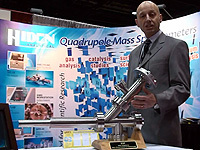 Included are demonstrations to illustrate this and how they work in nature and potential commercial applications. This video shows superhydrophobic coating technologies that prevent the accumulation of snow and ice from NEI. This video shows the printing solutions from Trelleborg. The ultimate performance of Trelleborg’s printing solutions is due to the precise engineering of physical properties. This video shows easy to clean hardcoat coating technologies from NEI. This video shows EP42HT-2Med epoxy system from Master Bond. EP42HT-2Med is a room temperature curable, two-component epoxy, sealant, adhesive, coating and casting material featuring outstanding chemical resistance along with high-temperature resistance. 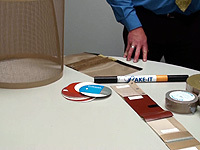 This video shows the demonstration on how to use a pre-measured flexible divider pouch from Master Bond. 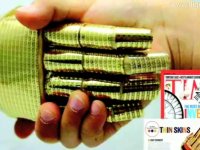 This video from Thermcraft shows the production of gold plated tubes for their TransTemp transparent tube furnaces. These furnaces use an outer tube with its internal face gold plated to reflect heat back into the work tube. The outer tube is opaque at room temperature, but becomes transparent above 600°C allowing the operator to see what is actually happening inside in real time at elevated temperatures. 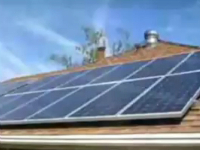 This video shows a UV curable system with a high glass transition temperature from Master Bond. Metals can be plated for various reasons. 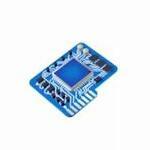 These may be for functional reason such as to improve wear or corrosion resistance to purely aesthetic reasons. Metals can be plated with other metals such as zinc, chromium or nickel for industrial purposes, while tin, brass, gold and silver are more commonly employed for aesthetic applications. 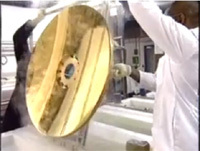 This video details the entire process and shows how a cadmium plated aerospace component is produced. 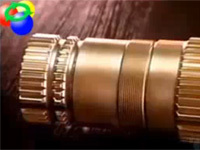 Anodizing certain metals such as aluminum, titanium can produce certain optical characteristics. This video clip provides an in depth explanation of how the process works with a detailed demonstration. 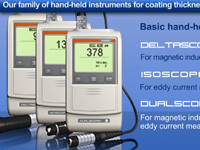 The PosiTector 6000 from Defelsko is a handheld portable thickness gage. It is suitable for measuring coating thickness on both ferrous and non-ferrous metals, making ideal for applications in the automotive industry. This video shows the ultrasonic spray pyrolysis deposition system fro TCO deposition from Sono-Tek. Setup instructions for the Model 3800 long-travel extensometer for rubber and elastomers. 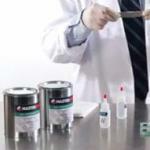 This video shows Master Bond's latest Super Gel 9 for Sealing and Encapsulation. This video shows the coating of blood collection tube and syringe barrel with ExactaCoat coating system from Sono-Tek. 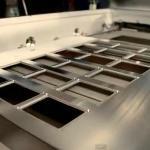 This video shows the single chamber tri-axis research evaporator from Semicore. This video demonstrates the application of Corrosion Resistant Coating Silcoalloy 1000 from SilcoTek. 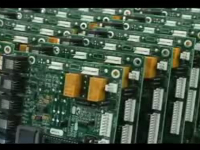 Manufacture of high quality printed circuit boards requires validation of every batch produced. This video shows the SC943 inline sputtering system from Semicore. The SC 943 system is a versatile horizontal sputtering system with multi target capability. 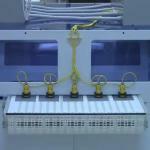 This video demonstrate the process of producing UV conformal coating using UV conveyor processing. 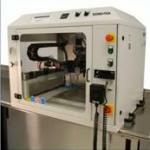 The UV oven is an inline system with full images of a UV conformal coating curing. 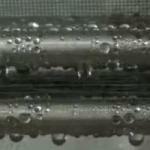 This video shows Anti-Icing Coating on metals from NEI Corporation. 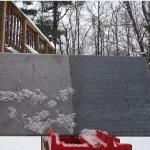 Both treated and untreated metal panels are frozen to -1°C. 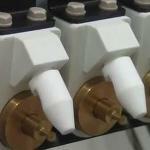 This video shows inline sputtering system from Semicore. 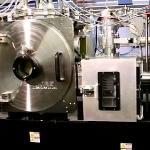 This sputtering system can be used to produce thin films of material on various substrates. 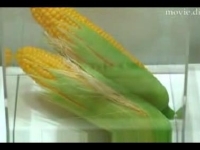 A video demonstrating the new plant based-resin paint made of corn developed by Sharp as an alternative environmental energy source. Sharp has coated many of its consumer based electronic products based on this paint. This paint dried quickly and can be easily produced. The compact Model 3442 extensometer http://epsilontech.com/3442 measures strain in this tensile test through failure of AISI 1080 high strength steel. 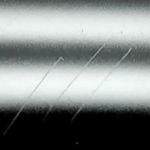 The music wire rod in this test has a 4.7 mm diameter. The extensometer may be used for determining elastic modulus, offset yield strength, ultimate elongation, and stress-strain curves. It may be left on through failure. 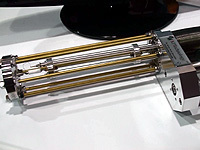 This miniature extensometer is especially suited for tension and compression testing in tight spaces and with short specimens. It is light weight and suited for delicate specimens. It may be used in strain control and it is fatigue-rated. 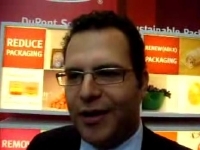 In this video, Maximus Bond talks about the worldwide shipping options of Master Bond. The company produces, sells and ships all of its adhesives, sealants and coatings directly from the manufacturing facility in Hackensack, New Jersey, U.S.